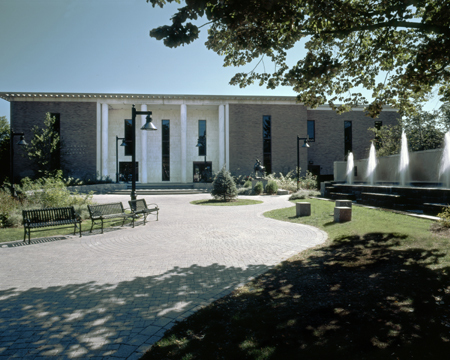 An antiquated plaza was the entrance to the Danbury Library. The space had several public hazards of deteriorating walks and steps. The Library had been renovated after a major fire and the plaza did not provide an adequate introduction to a new state of the art facility. 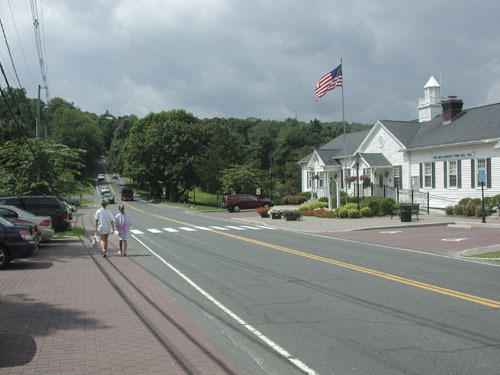 The plaza was at the major intersection of Danbury’s Main Street and provided a poor introduction to the city. Areas for gathering, seating, relaxing and playing. The incorporation of the historical features including the old City Hall wall and the sculpture of Sybil Ludington. The park has won a design award, and has become the heart of the city. It is used for many community activities and everyday activities by Danbury Library patrons and City of Danbury residents. The park has won two awards, and has been called “The Precious Treasure Of Danbury.” All work was done within the budget. 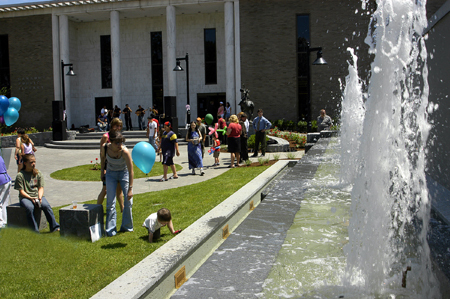 The park has been featured as an iconic place of Danbury in several marketing materials for the city including the Chamber of Commerce. 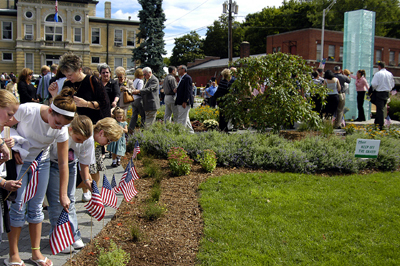 It became the home for the City of Danbury 9/11 Memorial. 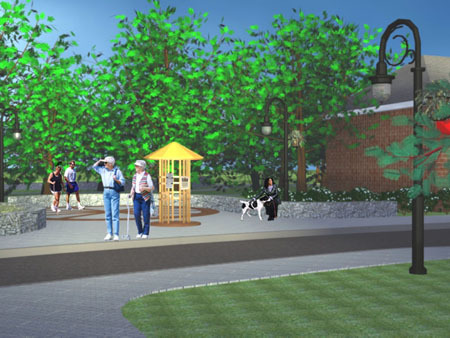 Originally called Fountain Park and then later Elmwood Park, this small urban park was a centerpiece of Danbury’s life and culture from the late 1890’s through the 1950’s. Since the 1960’s, the park had deteriorated into two mud filled traffic islands due to lack of maintenance and road realignments. 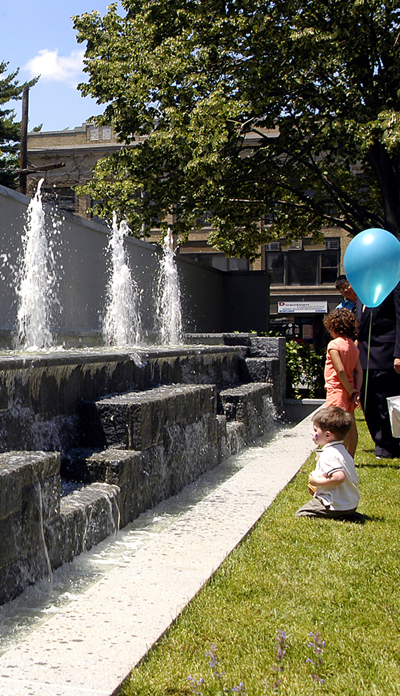 The challenge was to create a design that revitalized the park, celebrated the history of the area yet functioned within the context of its current configuration. 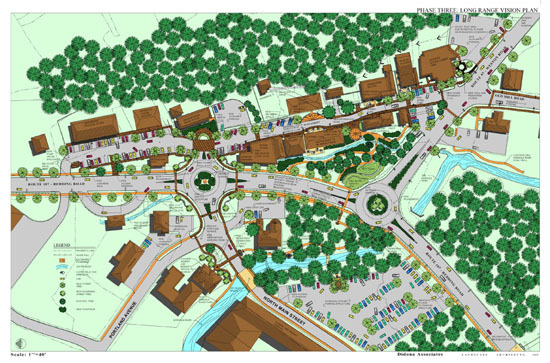 HVCEO provided Redding with a grant to create a Streetscape Enhancement and Traffic Plan for Central Georgetown as a first step towards improving the downtown of Georgetown. 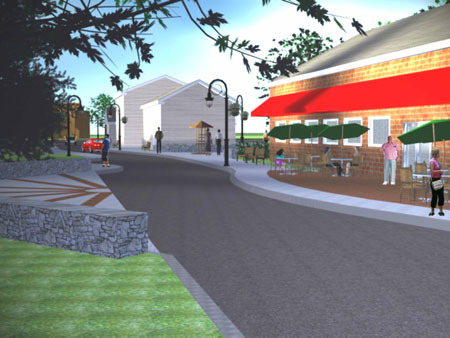 The Town has received a State grant of $500,000 to create detailed implementation plans for concurrent development of Plan Phases 1 & 2 and a Norwalk River Watershed Initiative grant of $50,000 for cleanup of the Gilbert & Bennett Brook within the guidelines of the vision plan. The resulting park won an award from the CT Urban Forestry Council. Funding for the town hall project was obtained through a TEA grant. Smaller projects such as tree planting, welcome signs, beautification planting, flagpoles, gateway sign, and benches have been funded by smaller grants and volunteers. 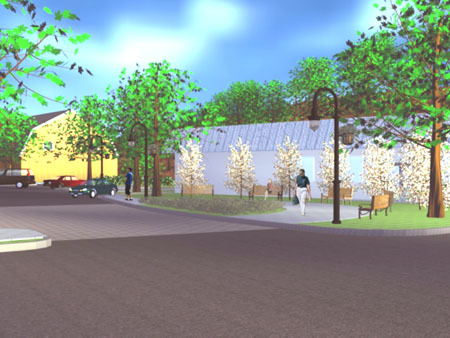 Another piece of the pedestrian paths connecting town hall to the senior center was installed using ARRA money. 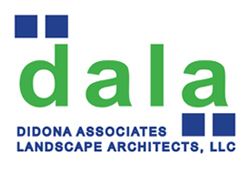 Private developers are using the design guidelines to develop and improve their properties. The town’s bond rating was upgraded as a direct result of these improvements.